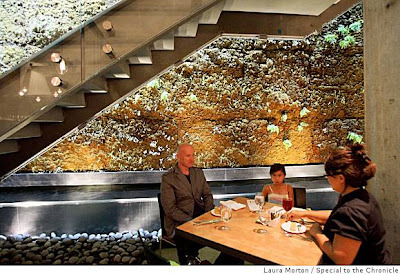 Check out the yummy new project shown off in the latest issue of Metropolis. 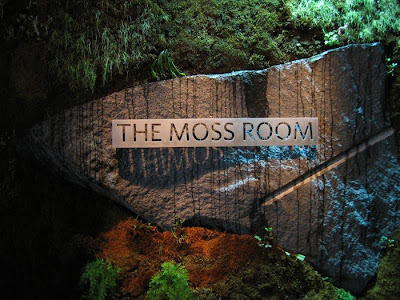 Back to the California Academy of Sciences building, the Moss Room by Lundberg Design is the subterranean restaurant that fittingly sheathed in a mossy covered green wall. There seems to be a lag between the print and online versions over at Metropolis - so all I could dig up were some semi-lucious photos. I know its a restaurant and I could talk about the ambieance and food and such - but who cares. 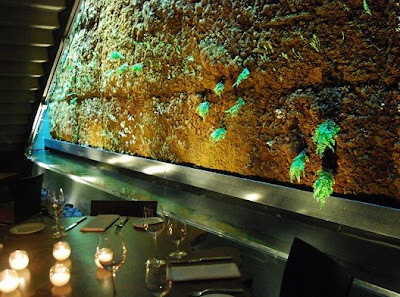 That wall is killer - with the soft, low-profile texture and literal moistness oozing from it. Damn, is the whole building green? More of the great mag photos to come when the article appears online. For now, some teasers. 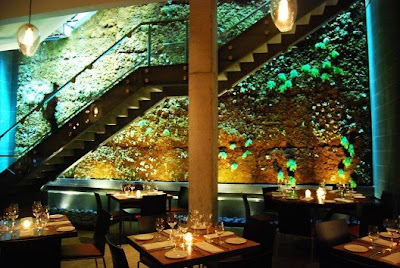 Although you can still see the edges of the panels in this system (which should fill in with some time) - it is still pretty stunning and makes for an amazing entry sequence down into the restaurant. Wouldn't this smell a bit musty?